We'd been wanting to plan a trip to Europe ever since we went there last time, back in 2016. And when Icelandair announced they were starting the first ever direct transatlantic flights from Kansas City, the wheels started rolling in our minds. 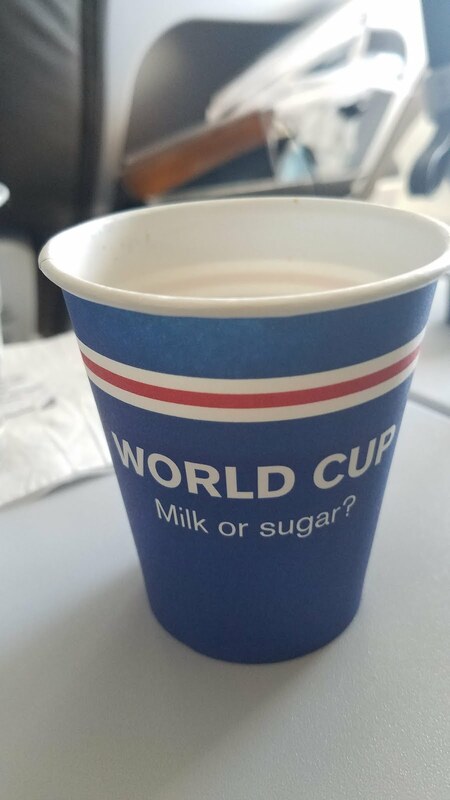 We'd never thought about including Iceland in our plans, but Icelandair's no fee stopover offer made it a no brainier to putting it on our itinerary, and we ended up spending the last couple of days on our back to KC in Iceland. We applied and got our Schengen visa through the Finnish embassy in New York. The process is relatively straight forward and it took about a week to get our passports back, stamped with the visas. We started our trip with the inaugural flight from Kansas City to Iceland. 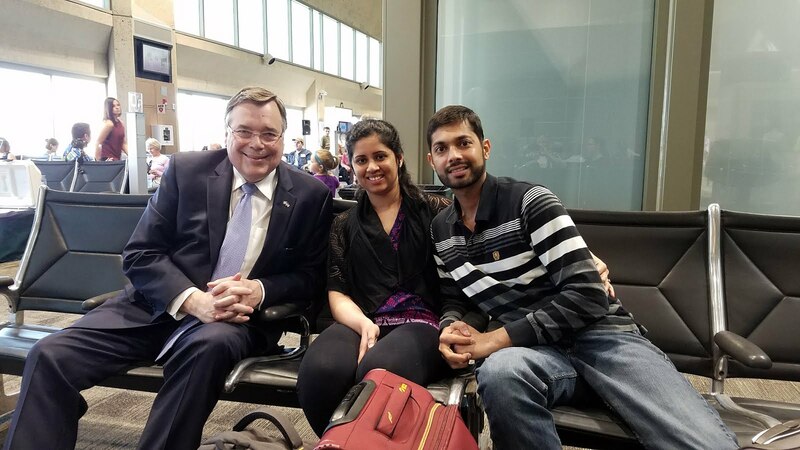 There was a big party going on at the airport departure gate, and all dignitaries including the Iceland ambassador to the US, the CEO of Icelandair and Kansas City mayor Sly James were present, and gave speeches before the departure, for the occasion. We arrived in Reykjavik in just under 7 hours from KC at 5:15 am local time and after stamping our passports, we waited for the connecting flight to Bergen, Norway which was about 3 and half hours later. Day 1 (Bergen, Norway) : We landed at around noon local time in Bergen, and our Airbnb host was kind enough to meet us at the apartment door and also allow us an early check-in. 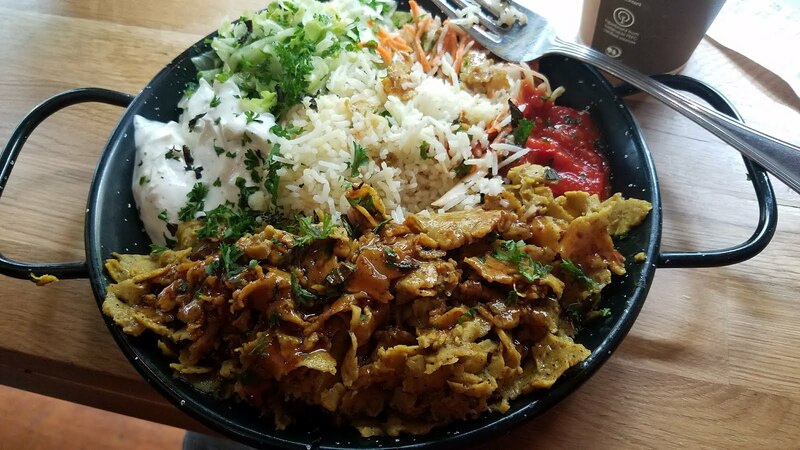 We settled into our Airbnb apartment, got some breakfast essentials at the near by grocery store, ate lunch and caught up on our sleep. Evening we went to the near by funicular, which takes you to the top of a local hill, get some bird's eye view of Bergen. Day 2 (Norway in a nutshell): We started day 2 of our trip with a planned route, through Norway in a nutshell. It is very easy to follow the exact same route as mentioned on their website, and do all the bookings yourself. Which is exactly what we did. That way you end up saving a few NOK (Norwegian Krona) and also have some flexibility with the schedule. 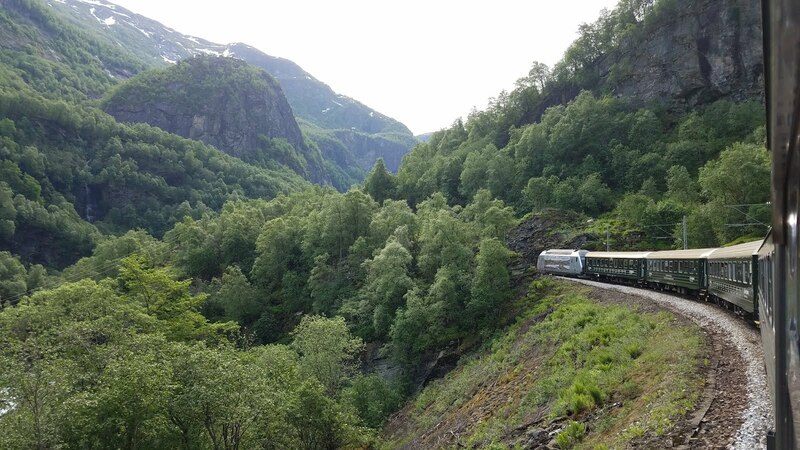 We started from Bergen first on a scenic train journey to Voss, and then to Myrdal on the Bergen Railway. 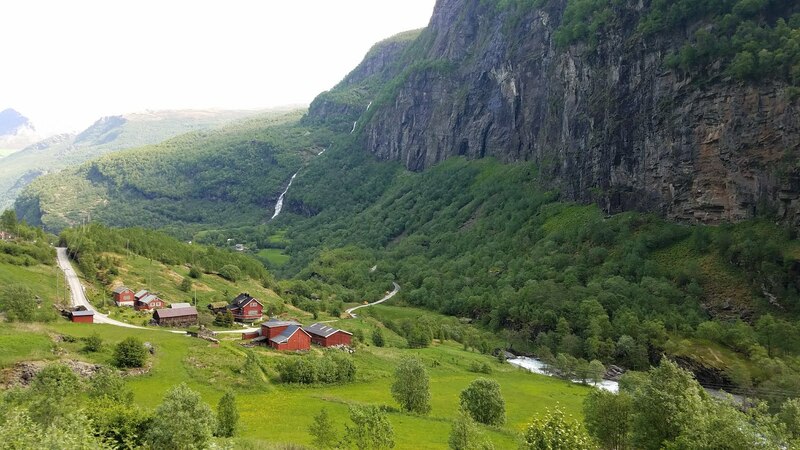 From Myrdal we took the Flåm railway to Flam, a spectacular train journey that offers a panoramic view of some of the wildest and most magnificent nature in the Norwegian fjord landscape. The tunnels that spiral in and out of the mountain and which is a tribute to some of the most skilled engineering in railway history. 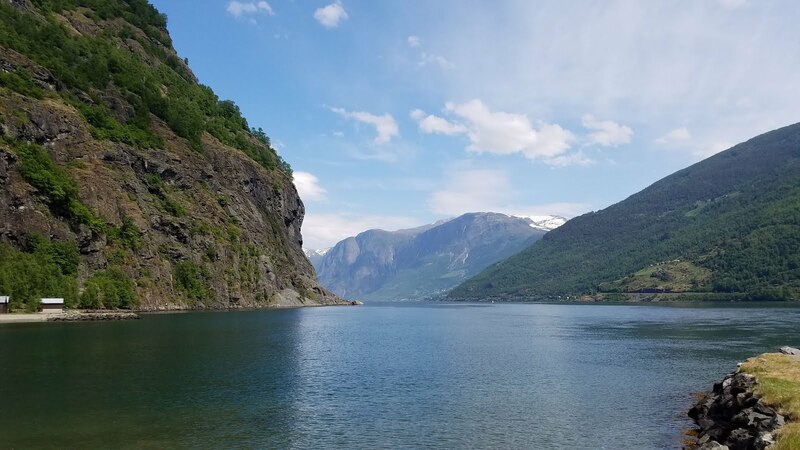 The last stop is the small picturesque village of Flåm, situated innermost in the Aurlandsfjord, a tributery of Sognefjord, the biggest in this region of Norway. The train even makes a 10 minute stop at one of the waterfall, where you can go up close to the falls. 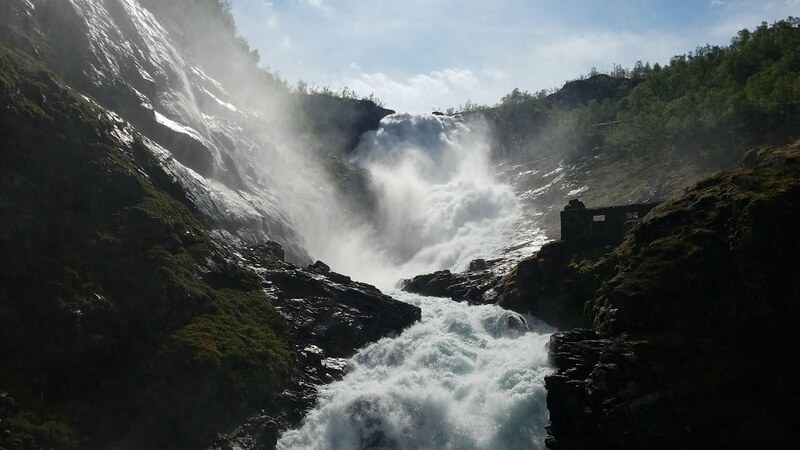 This railway is one considered to be one of Norway's major and most spectacular tourist attractions and the train journey provides some of the country's wildest and most magnificent scenery. We stopped in Flam about 2 hours before taking a cruise along the Nærøyfjord fjord, from Flam to Gudvangen. The narrow and spectacular Nærøyfjord is surrounded by steep valley sides and snow-covered peaks that rise 1,800 meters above, with thundering waterfalls and picturesque villages along the fjord. This area has been judged one of the most beautiful fjord landscapes in the world and is on the UNESCO World Heritage List. When the vessel arrives in the most scenic areas, it switches to battery power and keeps to less than 10 knots, which makes it practically totally silent. All you can hear, at this point, are the waterfalls. After the cruise, we waited in Gudvangen for the bus to Voss, which was about 2 hours later. It's a local bus, so it’s not possible to buy tickets in advance, but the schedule is available on the Skyss website. We had been a little worried about whether there would be enough seats and how the transfer would work. The reality is that this route—whether or not you purchase the Norway in a Nutshell package through the company—is built for tourists. It’s unlikely you’ll run into a problem getting stuck on any of the legs of the trip. After dinner in Voss, we took the bus back to Bergen, which was actually much more scenic than the train, as there're lesser tunnels along the way and most of the drive is along the fjords. Day 3 (Bergen, Norway) The next day we woke up late and explored Bergen. We started off with a walk to the Bergen harbor. 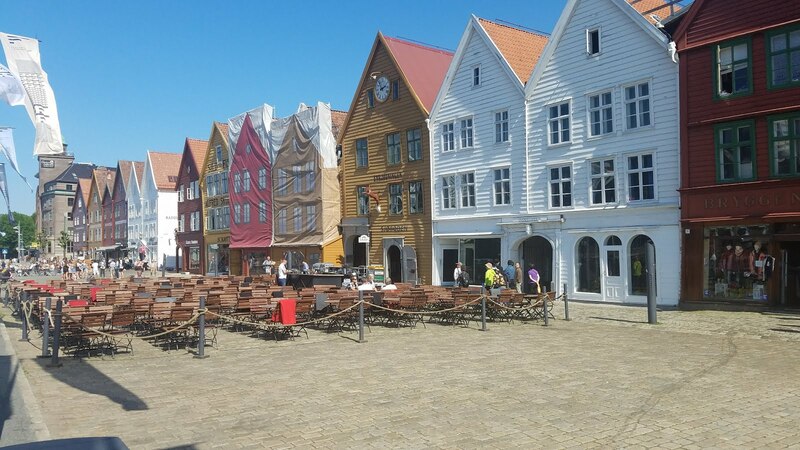 Bryggen, the old wharf of Bergen, is a reminder of the town’s importance as part of the Hanseatic League’s trading empire from the 14th to the mid-16th century. Many fires, the last in 1955, have ravaged the characteristic wooden houses of Bryggen. Its rebuilding has traditionally followed old patterns and methods, thus leaving its main structure preserved, which is a relic of an ancient wooden urban structure once common in Northern Europe. We continued our exploration with a visit to the Hanseatic museum. The museum is one of the oldest wooden buildings in Bergen, furnished in 18th century style and shows the life of the Hanseatic merchants. From 1350 to 1750 these merchants traded stockfish and grains from their office in Bergen. 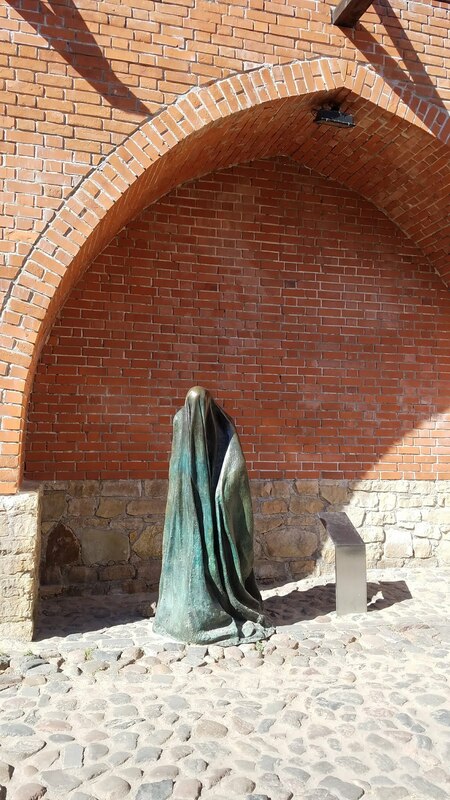 It shows how the German merchants from The Hanseatic League lived and worked. Evening we caught the 8 pm Norwegian airlines flight from Bergen to Copenhagen. Day 4 (Copenhagen, Denmark) We had got a 24 hour zone 1-4 pass at the Copenhagen airport the day before, so we took the excellent and efficient Danish metro system to our first destination, which was the Copenhagen harbor, since we'd booked a 1 hours canal ride through Hey Captain. 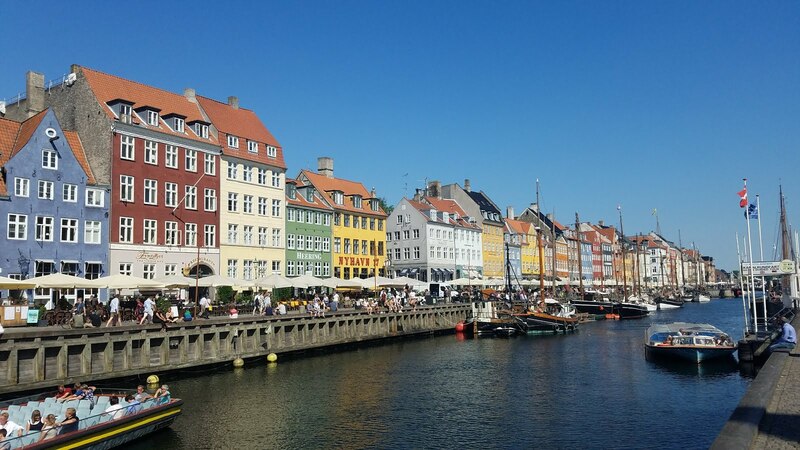 København, as is the Danish name for Copenhagen, translates into the Merchant Harbor. So most of the historical sites are located by the waterfront and along the beautiful canals. We started off by the Royal Palace. We passed through the historic canals of the old city center where we caught a glimpse of how it is to live on a house boat. We also saw some historical buildings, many of which were constructed by King Christian the 4th in the early 17th century. At the end of Christianshavns canal we will passed by Olafur Eliasson's beautiful Circle Bridge, designed to make the rushing bicyclist slow down and enjoy the beautiful view of the Black Diamond - the Royal Library. Cruising around Holmen, the old military area, we will pass by the much debated free town Christiania, where you see people swimming naked in the canal, with office employees working hard on their computers right opposite, welcome to Denmark! We then went to exploring Copenhagen on foot, starting off with the Rosenborg Castle. The castle was built by one of the most famous Scandinavian kings, Christian IV, in the early 17th century. A royal hermitage set in the King’s Garden in the heart of Copenhagen, Rosenborg Castle features 400 years of splendor, royal art treasures and the Crown Jewels and Royal Regalia. Our next stop was the Frederiksgade, a street in the Frederiksstaden neighbourhood of central Copenhagen. It runs east from Store Kongensgade to Toldbodgade on the waterfront, passing the Marble Church, Bredgade and Amaliegade on the way. We then went on our way through Stroget. Strøget isone of Europe's longest pedestrian streets with a wealth of shops, from budget-friendly chains to some of the world's most expensive brands. The Round Tower is just at the start of the street. Our last stop was Saviour's church which is one of Denmark's most famous churches. Ever since the serpentine spire was inaugurated in 1752, is has been a popular passtime to climb the 400 steps to the top. The views of the city from the top are unparalleled. 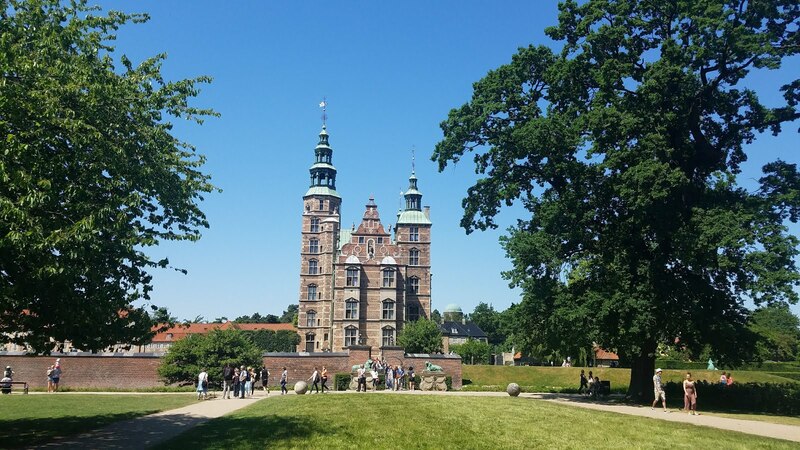 Searching for Copenhagen castles, we found many Copenhagen castle tours that would take us to Frederiksborg and Kronberg (of Hamlet fame) in a group tour. However, there is a cheaper and a more flexible way to this tour yourself. Our adventure started in the Copenhagen Central Station. The main station is just across from Tivoli Gardens in the center of the city. We purchased a Tourist Ticket to All Zones. 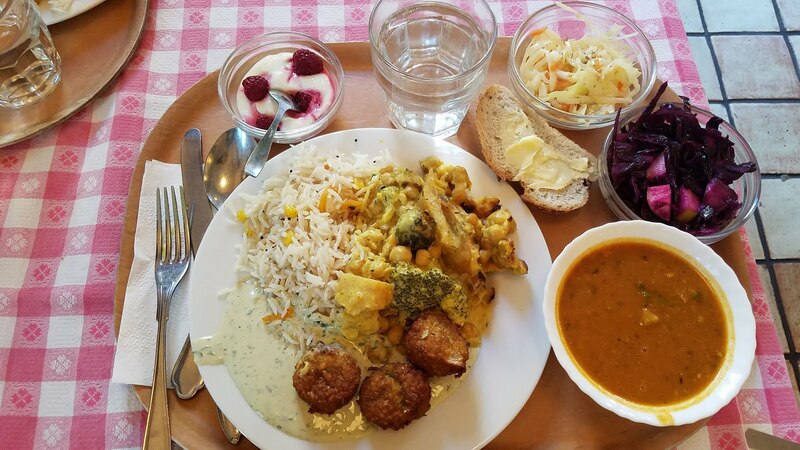 It would cover us anywhere that we wanted to go for 24 hours at a price of 150 DKK ~ $23. Unfortunately, US or most foreign credit cards do not work on the automated machines, hence we had to wait in a queue at the customer service, where the clerk verified my card with an ID before accepting it. Next we took the S train to Hillerød. They have excellent frequency. We got some lunch at Sunrise Bagel, and then headed straight to the Frederiksborg castle, which is a nice 20 minute walk from the station. Frederiksborg Castle (Admission 75 DKK ~ $12) dates from the 13th century, but its first incarnation was unacceptably plain and functional. This impressive Renaissance castle was built in the first decades of the 17th century by the Danish King Christian IV. There is a detailed and interesting audio guide available at ticketing, which enables you to learn about the history and the purpose of the most important rooms of the palace. Our second Copenhagen castle to visit was Kronborg Castle in Helsingør. We headed back to Hillerød station (and through the best ever 7-11 one last time) to catch the 930R train to Helsingør. We skipped exploring this one from the inside, as the reviews said there isn't much to see here, except for a hamlet style play enacted by the performer inside the castle. For our last day in Copenhagen, we had planned on a day trip across the border from Copenhagen to Sweden. The Øresund Bridge connects Denmark with Sweden. The bridge is the longest combined road and rail bridge in Europe and connects two major metropolitan areas: Copenhagen, the Danish capital city, and the Swedish city of Malmö. Due to the fact we were crossing over to another country we had to take our passports with us. The tickets to this train are sold separately, as a 24 pass, so you can go back and forth as many times in a day. Crossing the Oresund bridge was pretty cool though, the train ducks down underground for a bit then pops up whilst flying over the water, it’s a great view so a window seat is a must if you are ever traveling across it. However, the view from the bus or a car which runs above the train is more awesome, we were told, though a little more expensive. We arrived in Lund in about an hour after having left Copenhagen central station at around 11 am. Lund is a small university town, however it is sometimes mentioned as the oldest town or city in present-day Sweden, though it has only been a formal Swedish city for 300 years of its at least thousand year long history. We visited the cathedral in the center of the town, before heading for some delicious lunch at Govindas. After a heavy lunch, we boarded the train to Malmö. Malmö is a gamma world city, the third-largest city in Sweden, after Stockholm and Gothenburg, and the sixth-largest city in Scandinavia. Since the construction of the Øresund Bridge, Malmö has undergone a major transformation with architectural developments, and it has attracted new biotech and IT companies. We had booked a free walking tour, which started promptly at 1 pm, lead by our guide Adam. We learned about the historic town square, and the Swedish empire through it's 1000+ years time, and the many battles between the Swedes and Danes. We also saw the beautiful Gamla kyrkogården, and sites such as Slottsmöllan, Malmöhus, and more. Next morning we took the 9 am Air Baltic flight from Copenhagen to Riga, Latvia’s capital, set on the Baltic Sea at the mouth of the River Daugava. We had pre-ordered breakfast for 9 Euros on the flight, it consisted of an omelette, juice, bread, croissant and yogurt; which was very decent for the price. We landed at around 11:40 am and had coffee at the airport to kill time, since our check-in wasn't scheduled until 1:30 pm and the city is only 9 km from the airport. After coffee, we took a "taxify" (6 euros) to our Airbnb in Riga. After settling into the apartment, we headed out. We started off our exploration in Riga with a walking tour of the old town with our guide Andis Artmanis. Andis was born and brought up in Riga, and has lived through most of his life when Latvia was still a part of the former USSR. And this is a very important part of Lativa's more modern history. Most people, here, speak Latvian and Russian as their first and second languages respectively. However, the younger generation (who were born after the fall of the Soviet union in 1990) speaks relatively fluent English, and a little less Russian than the older generation, which was brought up in under the Soviet rule, for whom the latter is the reverse. He then took us on trip across the old town, encountering the St Peter's church, Riga Cathedral, Riga's Monument to Christmas Tree, where the first decorated Christmas tree was erected, the famous Riga Cat house, the art noveou district, and many other symbolic monuments like the Swedish Gate, the last remaining wall of Riga, the ghost alley among other things. 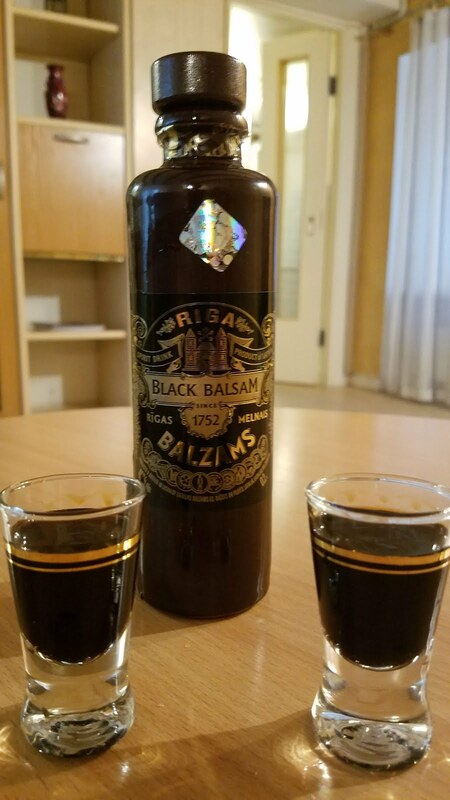 The tour also included a stop to taste the famous Riga black balsam, and we ended up buying a small bottle at the local grocery store. We started off our last full day in Riga, with a trip to the local Riga market as the KGB building wasn't open until 10 am. Riga Central Market (Latvian: Rīgas Centrāltirgus) is Europe's largest market and bazaar. In operation since 1570, the market flourished during the mid-1600s when the city outgrew Stockholm to become the largest stronghold of the Swedish Empire. Laden with goods, boats travelling down the Daugava river would meet those traversing the Baltic Sea for a mutually beneficial exchange. Here you can find anything from fresh fruit and vegetables, to flowers, to fish and meat. We then took a Taxify cab to our next stop, the KGB museum. The museum which was actually a former KGB building and jail cell. 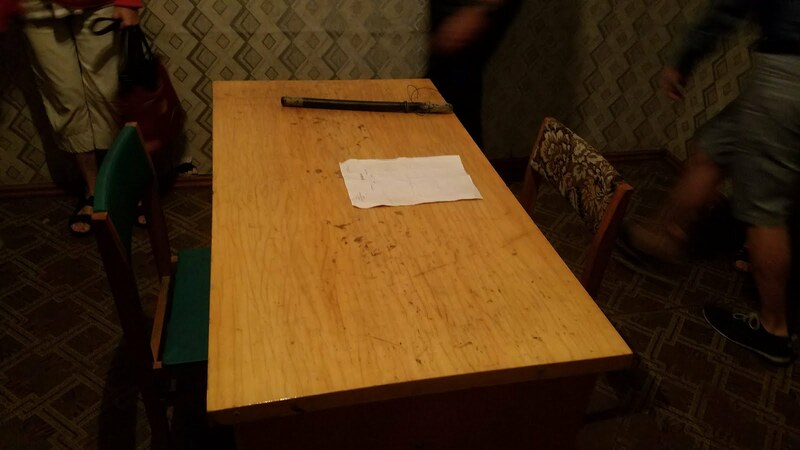 The Soviet regime was supported by the Soviet political secret police, called Cheka. It was founded in December 1917 as “The All-Russian Special Commission” for combating counterrevolution and sabotage. It quickly established a large and oppressive apparatus that searched for and physically eliminated any opponents of the Soviet philosophy. 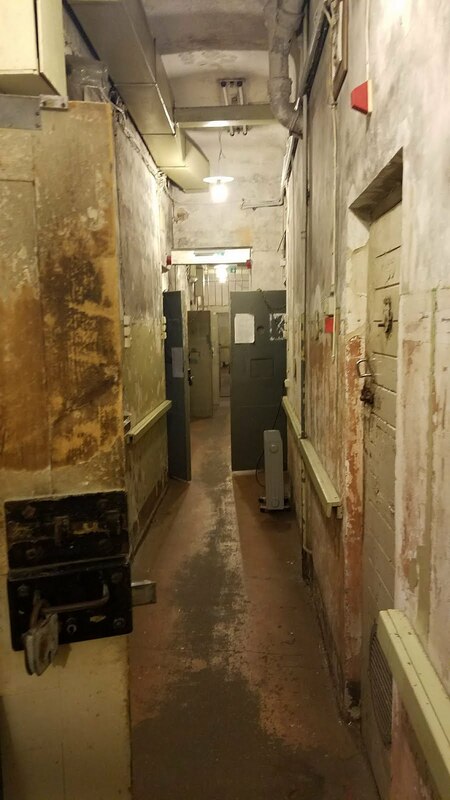 The Museum offers guided tours of the basement prison cells and an exhibition about the history of KGB activities in Latvia during the Soviet occupation. 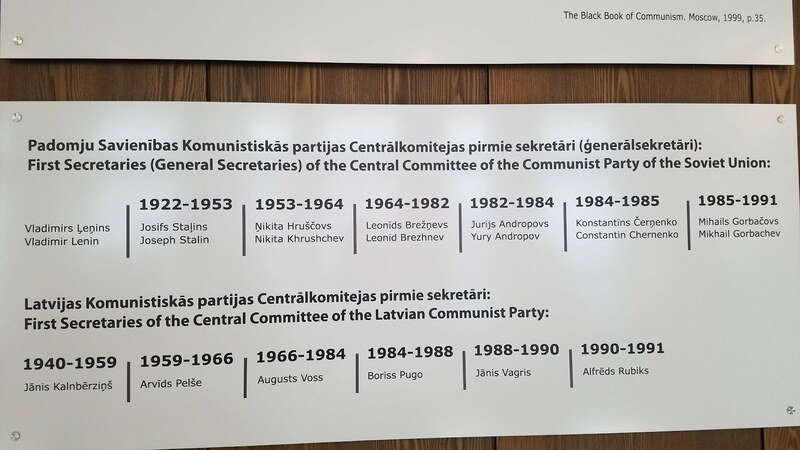 We then started the tour of the building with a guide, who described the atrocities committed by the KGB on the Latvian people during the Soviet occupation. On the way back, we stopped to admire some of Riga's beautiful cathedrals and churches, pictured above. For trip from Riga to Tallinn, instead taking a direct flight (50 min) or a bus (5 hours), we had booked a sightseeing tour van through Riga Traveler. Their knowledgeable local guides take a small group, of max 8 people, a 12 hour road trip from Riga to Tallinn, crossing about 4 to 5 different sites in northern Latvia and southern and central Estonia along the way. 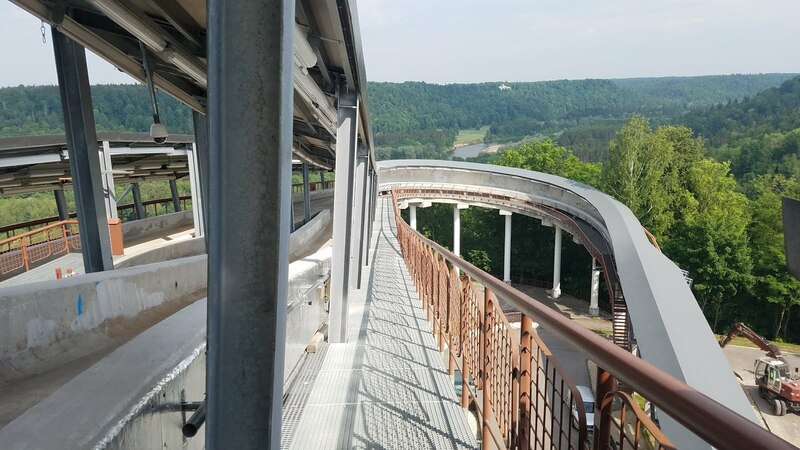 We started off at 9 am from Riga, making our way to the first stop at the Sigulda Bobsleigh Track. Although the view was good from the top, the attraction itself was a bit of a letdown. The total length of the bobsleigh and luge Track is 1200 m and allows for a maximum speed of 125 km/h. There are separate starting points for men and women along the track though. Our next stop was fortress town of Cēsis in central Latvia. With over 800 years of history, Cesis is one of the best-preserved medieval towns in the Baltics. 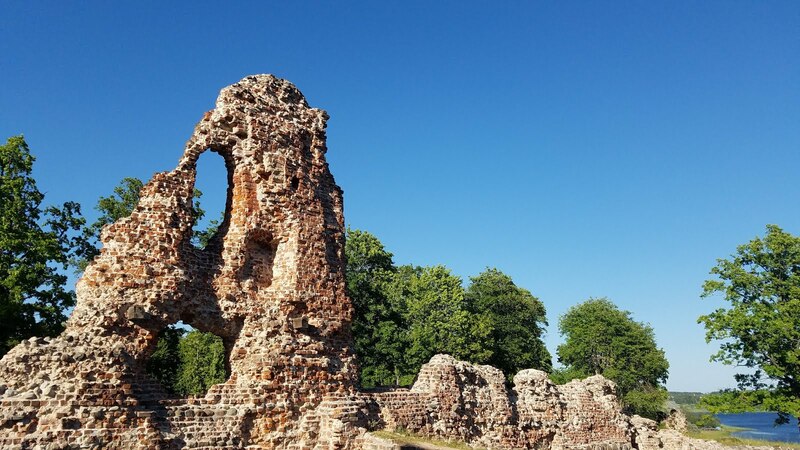 The medieval castle ruins are the symbol of Cēsis. The Cēsis castle suffered greatly in 1577 during the siege set by the army of Russian Tsar Ivan the Terrible. With the rapid development of military equipment, the ancient fortress lost its military importance, but it was still inhabited until the end of the 17th century. The 19th century aroused broader public interest to turn the castle into a historic monument. Today, Cēsis Castle is one of the most special destinations of cultural tourism in Latvia; its uniqueness attracts travelers from all over the world. We left Cesis at around noon for our next stop at the Gauja National Park. This park is the largest and oldest of the national parks in Latvia, characterized by great biological diversity. Magnificent sandstone outcrops, rocks, cliffs and caves are among the park’s major attractions. The grayish sandstones were formed 350-370 million years ago. We did a small hike around the sandstone, which was made very easy by the wooden steps on the routes along the Gauja valley. 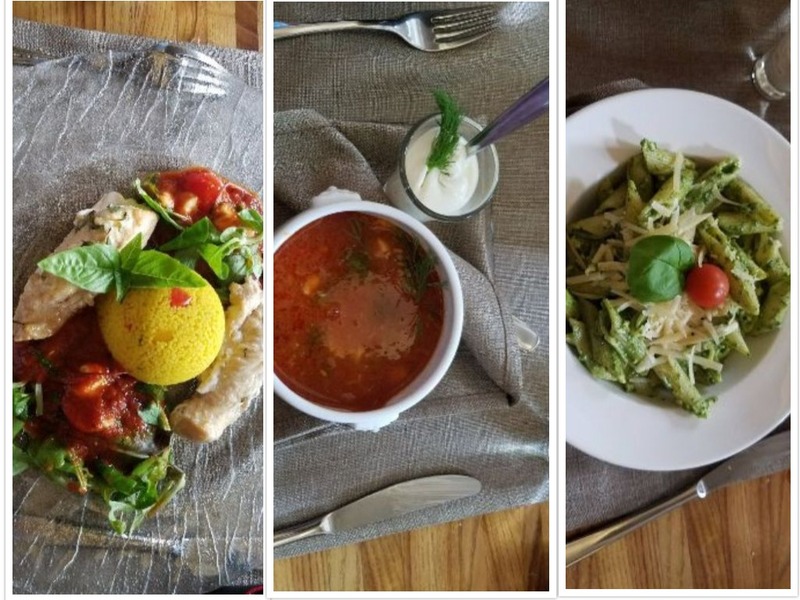 Our next stop was for lunch at the Estonian border town of Valga, at Hotel Metsis. After lunch, we were driven about 2 minutes to our next stop, a history and military museum in Valga. The museum was basically a tribute to the Estonian military which has stood up the Germans and the later the Soviets, the last century. The descriptions, were all unfortunately in Russian and Estonian, so we could not really learn much by reading about the artifacts. However, most of them consisted of uniforms of the Estonian military, and various types of guns from the wars the army has fought in the past. 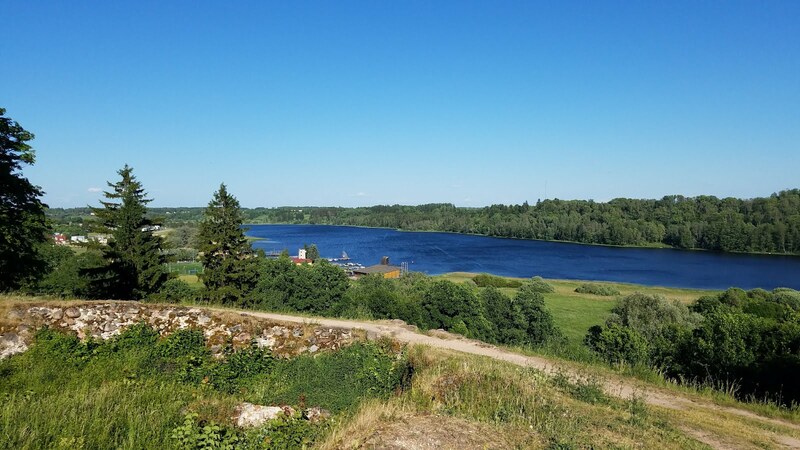 We then moved forward to our last stop, the romantic Estonian town of Viljandi and its crumbling crusader castle. About 2 hours after leaving Viljandi, we arrived in Tallinn at around 9 pm, and checked into our Airbnb. Our only full day in Tallinn started with a free walking tour at 10 am, organized by the same company that took us from Riga to Tallinn the previous day. During the 2-hour we covered the most important sights of the Old Town, and learnt the history of Estonia and the people who live here. We started off about 2 blocks from our Airbnb and then made our way to the freedom square. The War of Independence Victory Column, pictured on the right, was opened in 2009 as a memorial for those who fell during the Estonian War of Independence. The pillar is made out of glass plates. Next we made our way to the Alexander Nevsky Cathedral. A Russian orthodox cathedral built to a design by Mikhail Preobrazhensky in a typical Russian Revival style, between 1894 and 1900. The cathedral was strategically placed opposite the Estonian parliament by the Soviet Union, as a reminder as to who was in charge. We then made our way to the parliament building, which is officially the Toompea Castle, where our guide showed us some Estonian dance people do when the weather is too cold for their liking. The flag of Estonia is hoisted at the top of the tower every day at sunrise, to the sound of the national anthem, and lowered at sunset, and is representative of whose rule Estonia is currently under. It hoisted the Soviet flag until 1991. 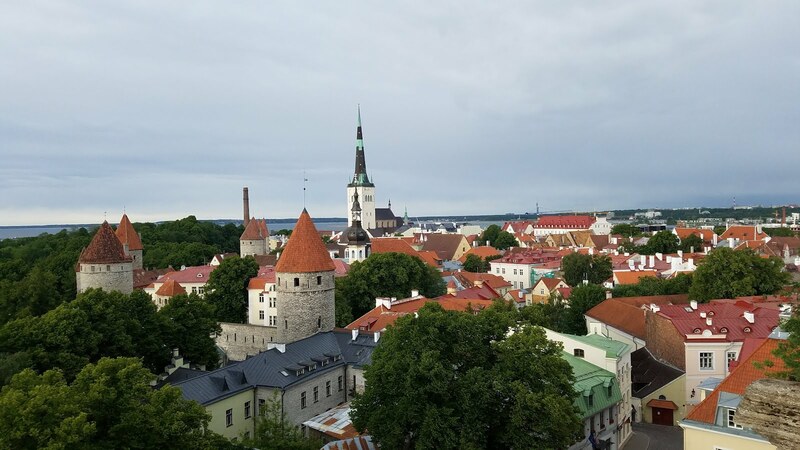 We then made our way to the Patkuli viewing platform where you can get a view of the old town, before ending the tour in the main square of Tallinn. After taking a quick afternoon nap, we heading for St. Olaf's church in northern old town to get the best view of Tallinn from above. The view is from the church tower which is about 400 steps and cost 3 euros for entry, but the view makes it worth the time, money and effort. We ended the day with a trip to the Kadriorg Art Museum. 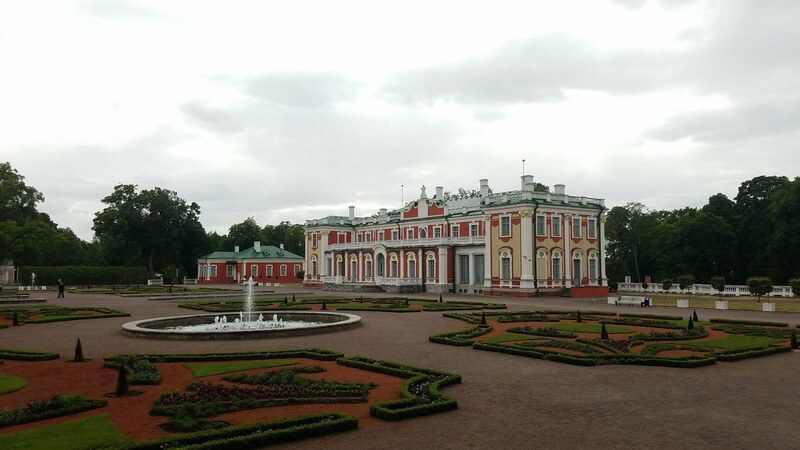 The museum is actually a baroque palace with grandiose interior, beautiful park and fountains was a gift from Tsar Peter the I to his wife Catherine. Ensemble is the extravagant example of tsar's goodness. In the palace there is an exposition of Estonian Art Museum collection of foreign art. Next day morning, we woke up to bright sunshine in Tallinn, and after a quick last stroll through the old down, took a Uber to the port of Tallinn, which is only 5 minutes away from the old town. We had book the Eckerö Line ferry from Tallinn to Helsinki starting at noon. The entire journey takes about 2 and half hours. Our check-in process was very simple, and there were no airport-like security checks, so we entered the boarding area pretty quick. The cruise ship was much bigger than we had expected it to be. When the cruise docked we saw about 20 odd trucks and more than a 100 cars coming out from the ship, in addition to all the passengers that off boarded. The process happened in reverse as we boarded the cruise at 11:30 and the ship left at noon, sharp. 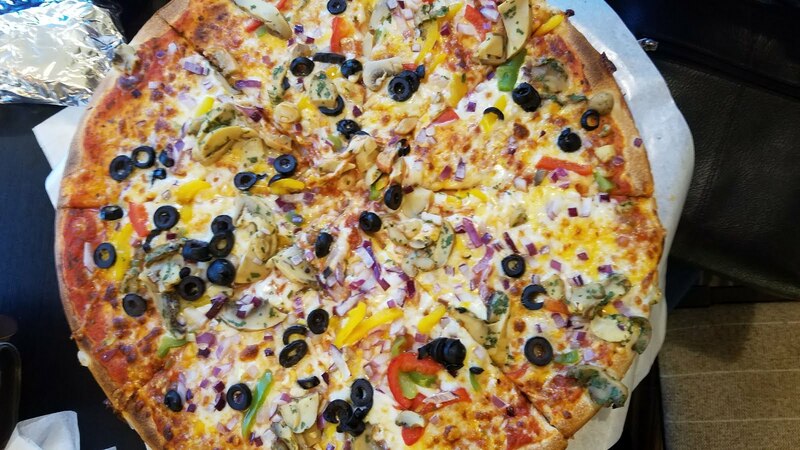 It was pure veg and delicious! 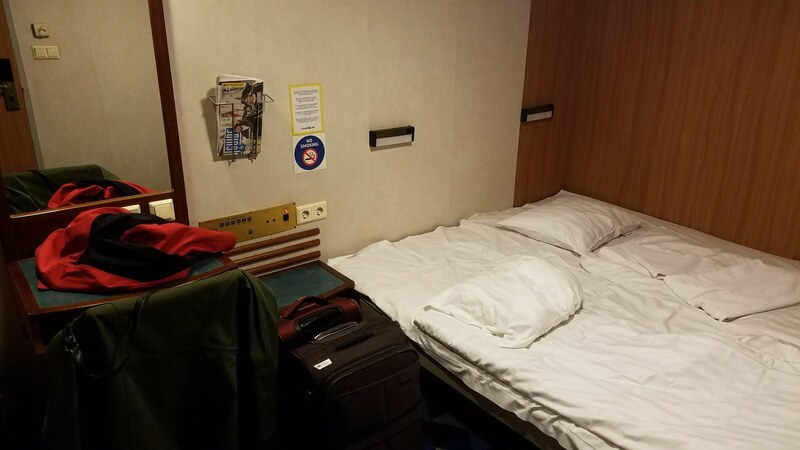 While on the cruise, we saw that level 1 through 5 were reserved for vehicles and goods, level 6 were our rooms, 7 and 8 were mostly dining and shopping options and level 9 was the open air deck. After checking our bags into the room, we headed for the desk to get view of Tallinn from the port. We then checked out the cruise restaurants and shopping, and then relaxed in our cabin, the 2 hours just flew by! After landing in Helsinki at the port, we took the 48 hours public transit pass on the HSL, and headed straight to our Airbnb apartment. Evening, we explored Helsinki central square and the harbor. 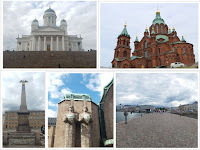 For our only full day in Helsinki, we had booked a free walking tour with Green cap tours. A Quick, informal and fun way to learn all the basic stuff about the Capital of Finland. Our walking tour started at the steps of the Helsinki cathedral, where we learned about the history of the cathedral before stepping inside for a quick glimpse. 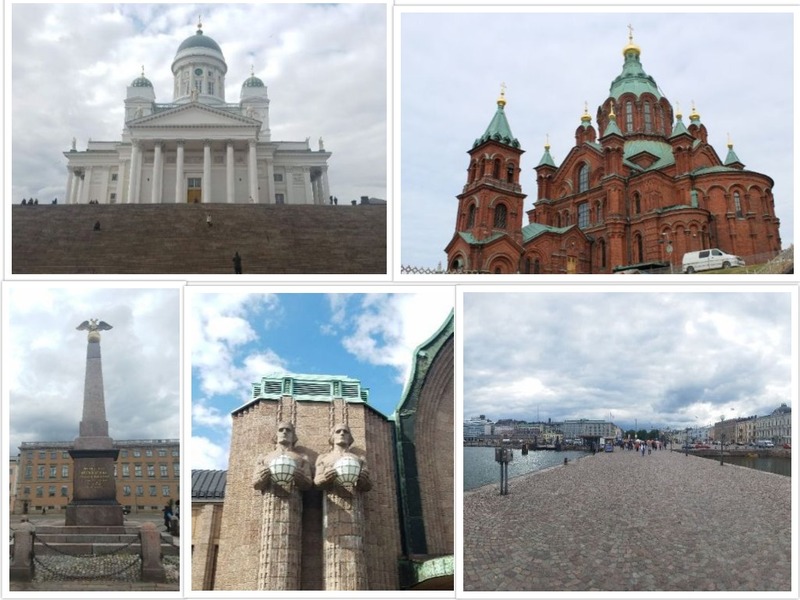 The church is a distinctive landmark in the Helsinki city landscape, with its tall, green dome surrounded by four smaller domes. The architecture of the building is in the neoclassical style. Overlooking Senate Square and the harbor, the church’s towers never go unnoticed. Though from the inside the cathedral is plain and simplistic. 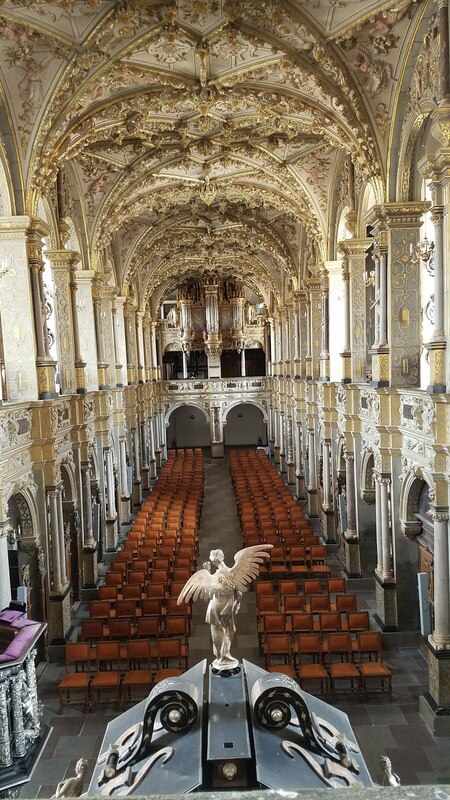 We then made our way to the next cathedral, the Upenski cathedral. This is the largest Russian orthodox church, west of Russia. With its golden cupolas and redbrick facade, the church is one of the clearest symbols of the Russian impact on Finnish history. Our next stop was the harbor and with it's many food and souvenir stalls. Here you can get fresh seafood plates, though a tad bit expensive for "street food". We ended the tour at a near by park, which although a few steps from the main square, feels far away from the hustle and bustle. 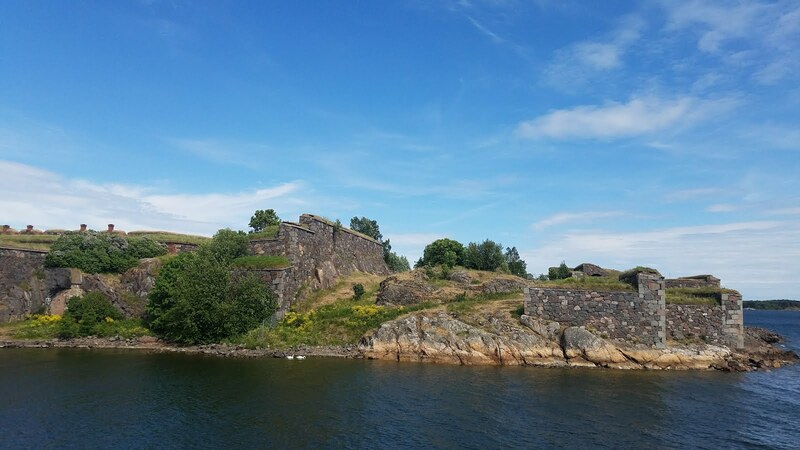 We had lunch at one of the market street food vendors, and then took the ferry to Suomenlinna, an 18th-century sea fortress and nature area with centuries-old artillery and defensive walls, spread across 6 linked islands. It was built by the Russian to protect their then capital Saint Petersburg from an invasion. The island is now home to about 8 residents and it full of touristy attractions and cafe. However, it is probably the most important landmark in Helsinki, and one that you have to visit if you want to say you've *been* to Helsinki. The next day afternoon, we took the 615 bus from near our Helsinki Airbnb to the airport, which took about an hour, for the 9 mile journey, because of the number of stops. However, we had all the time in the world as our flight at 2:40 in the afternoon. We took the Icelandair flight from Helsinki to Reykjavik, which landed at 3:30 pm, because of the time difference. Because of our limited time in Iceland, we wanted to see as much as possible of this raw nature and scenic country. So, after landing we headed straight to the rental car office to pick up our car, dropped off our bags at the Airbnb apartment, and headed out to explore the golden circle. On the way to Reykjavik, which is about 40 minutes from the airport, we marveled at the barren landscape, the snow covered mountains, the moss covered lava fields. 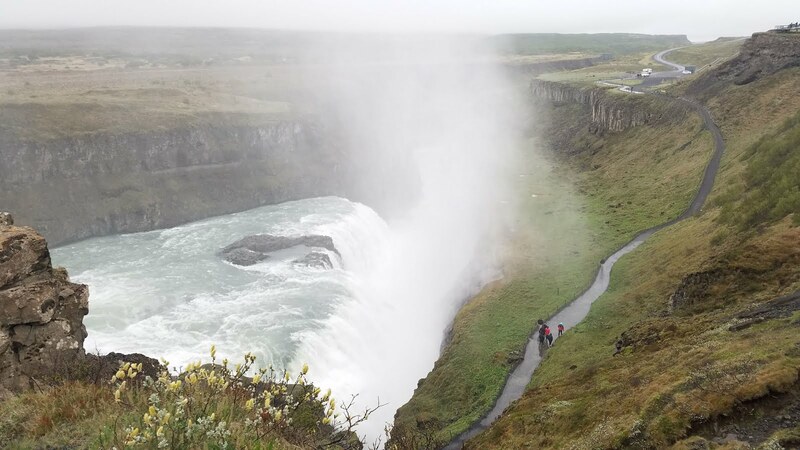 The golden circle is usually a common route between 3 beautiful natural attractions in Iceland; , Geysir geothermal area and Gullfoss waterfall. Our first stop was the Öxaráfoss waterfall and the tectonic plates rift in the Þingvellir national park. 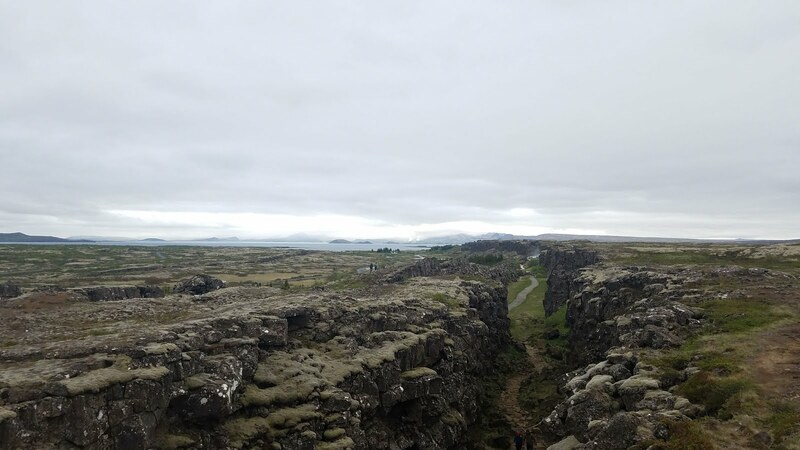 Iceland is divided by the Mid-Atlantic Rift; and is the only place in the world where this rift is above sea-level, and nowhere can you see the edges of both plates as clearly as in Þingvellir. Next, we drove to the Geysir. Eruptions at Geysir can hurl boiling water up to 70 metres in the air. However, eruptions may be infrequent, and have in the past stopped altogether for years at a time. Although, we were lucky enough to experience multiple eruptions while we were there the half an hour or so. One of them is in the video to the right. Our third stop, was the Gulfoss waterfalls, one of the most popular tourist attractions in Iceland and the best part of the "Golden circle". What makes this fall unique is that it features two distinct drops in succession at right angles to each other while spanning the entire width of the Hvítá River. 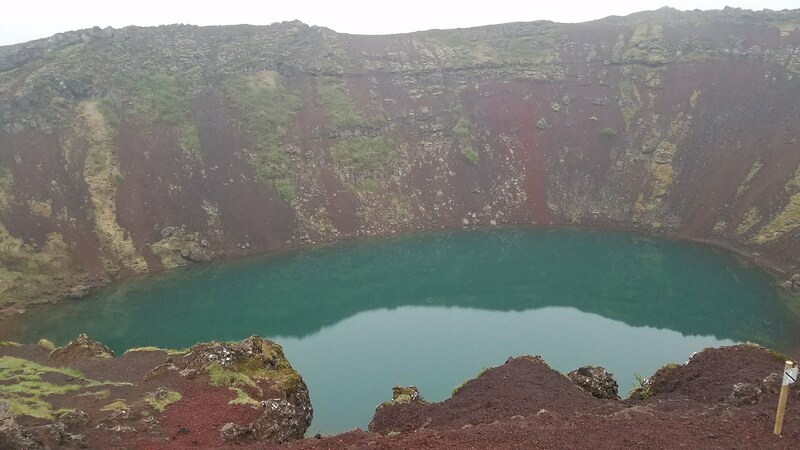 Our last and final stop, and what makes this route a circle, was the Kerið crater. While most of the crater is with little vegetation, it can be descended fairly easily. The lake itself is fairly shallow (7–14 meters, depending on rainfall and other factors), but due to minerals from the soil, is an opaque and strikingly vivid aquamarine. There is a 400 ISK (~$3.75 USD) fee to get in, but since we visited pretty late in the night (can you tell it's 11 pm in the Kerið pic above? ), there was no one to collect the fee and we entered for free. We then drove back about an hour back to our Airbnb in Reykjavik, reaching around midnight, to call it a night and end a hectic day of travel and sightseeing. It was totally worth it though, and I would it again in a heartbeat. Since we did the Golden circle the day before, we had one full day of sightseeing, and we had planned to spend it exploring the southern coast of Iceland. We started off at around 10 am by picking up some pre-packaged sandwiches/wraps from Bonus, a cheap by Icelandic standards, grocery store. We then drove to our first stop, which was about 2 hours away, to Seljalandsfoss (foss stands for "falls" in Icelandic), so writing waterfalls after the word would be redundant; you get the idea. Seljalandsfoss is one of the best-known waterfalls in Iceland. A path leads you behind the waterfall, but do bring a raincoat as you will get soaking wet from the falls. There is a parking fee of 700 ISK (~$6.80) at the falls. We then drove off to our next stop, Skógafoss. Skógafoss is one of the biggest waterfalls in Iceland, with a drop of 60 meters and a width of 25 meters. You can climb the stairs next to the fall and get a good view of the drop and the force of the falls. There is all a path that takes you past the river that pours into the falls, and it's all just beautifully scenic and surreal to put in words. 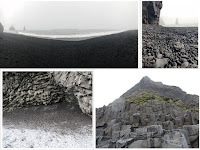 Our next stop was the Reynisfjara Beach, a famous black-sand beach found on the South Coast of Iceland, just beside the small fishing village of Vík. With its enormous basalt stacks, roaring Atlantic waves and stunning panoramas, Reynisfjara is widely considered to be the most beautiful example of Iceland’s black sand beaches. Our last and final stop of the day was Kirkjufjara beach. The beach is closed off at 7 pm, so be sure to reach before that time. The beach itself is closed off, due to dangerous waves and previous incidents of tourists drowning in the tides. After this last stop, we drove about 2 hours, back to Reykjavik. Our last day of the trip, we decided to just explore the Iceland capital city for a few hours in the morning, before returning our rental car and catching the flight back to Kansas City at 6 pm in the evening. We drove about 15 minutes after checking out from our Airbnb to downtown Reykjavik and parked at Hallgrimskirkja, their main church. Its stepped concrete facade is an ode to modernism and a reminder of the Icelandic landscape. We then had lunch at the Icelandic street food restaurant. Their shell fish soup (1500 ISK ~ $14.50) is a must try, and you can get bread and butter to go along with it. Evening we left Reykjavik to return our rental car office near the airport, and take the 1 minute shuttle to the airport. Our flight back was on time and 7 hours in we had landed in Kansas City. This brought to end an amazing 2 weeks in Scandinavia and the Baltic countries. There is a lot to explore; cities, architecture, history, nature, culture, art. Whatever your interest, there is a lot to experience.